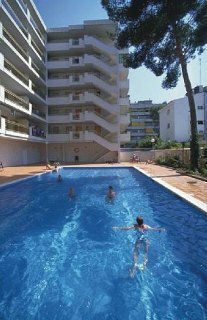 Property Location With a stay at Salou Pacific Apartments in Salou, you'll be near the beach and minutes from Capellans Beach and close to Levante Beach. This family-friendly apartment is within close proximity of Cala Font Beach and Port Aventura Theme Park.Rooms Make yourself at home in one of the air-conditioned rooms featuring kitchenettes with refrigerators and stovetops. Rooms have private furnished balconies. Wireless Internet access (surcharge) keeps you connected, and flat-screen televisions are provided for your entertainment. 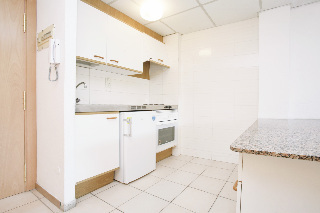 Conveniences include safes and microwaves, and housekeeping is provided weekly.Rec, Spa, Premium Amenities Take advantage of recreation opportunities such as an outdoor pool or take in the view from a terrace and a garden. Additional features include complimentary wireless Internet access, an arcade/game room, and tour/ticket assistance.Dining Satisfy your appetite at a coffee shop/café serving guests of Salou Pacific Apartments. Relax with your favorite drink at a bar/lounge or a poolside bar.Business, Other Amenities Featured amenities include a 24-hour front desk, luggage storage, and an elevator (lift). Self parking (subject to charges) is available onsite. Property Location With a stay at Apartamentos Arquus in Salou, you'll be minutes from Capellans Beach and close to Levante Beach. This apartment is within close proximity of Cala Font Beach and Port Aventura Theme Park.Rooms Make yourself at home in one of the 70 guestrooms, featuring kitchens with refrigerators and microwaves. Rooms have private balconies or patios. LED televisions are provided for your entertainment.Rec, Spa, Premium Amenities Enjoy the recreation opportunities such as an outdoor pool or make use of other amenities including tour/ticket assistance.Business, Other Amenities Featured amenities include a 24-hour front desk, a safe deposit box at the front desk, and an elevator (lift). 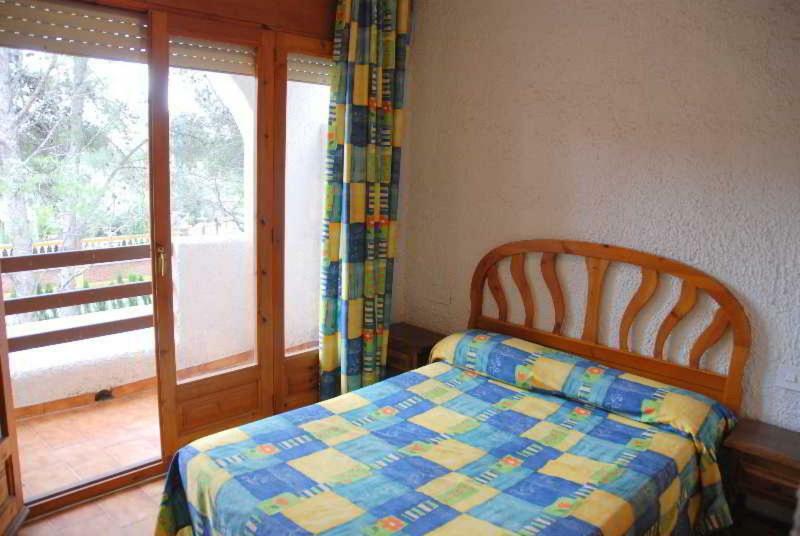 Property Location With a stay at Catalonia Gardens, you'll be centrally located in Salou, walking distance from Capellans Beach and close to Levante Beach. This aparthotel is within close proximity of Cala Font Beach and Port Aventura Theme Park.Rooms Make yourself at home in one of the 60 guestrooms, featuring kitchenettes. Rooms have private balconies. Conveniences include refrigerators and sofa beds, and housekeeping is provided weekly.Rec, Spa, Premium Amenities Take advantage of recreation opportunities such as an outdoor pool or take in the view from a rooftop terrace and a garden.Business, Other Amenities Featured amenities include a 24-hour front desk and an elevator (lift). Property Location With a stay at Apartamentos Alboran in Salou, you'll be near the beach and minutes from Levante Beach and close to Port Aventura Theme Park. This apartment is within close proximity of Capellans Beach and Ponent Beach.Rooms Make yourself at home in one of the 15 guestrooms, featuring kitchenettes with refrigerators and stovetops. Rooms have private balconies. Conveniences include safes and microwaves, and housekeeping is provided weekly.Rec, Spa, Premium Amenities Enjoy recreation amenities such as a seasonal outdoor pool or take in the view from a garden.Business, Other Amenities The front desk is staffed during limited hours. 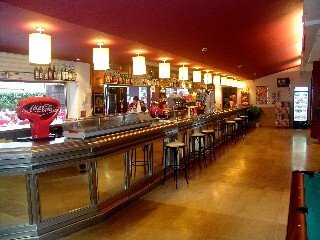 Property Location A stay at Apartamentos Murillo Salou places you in the heart of Salou, convenient to Levante Beach and Port Aventura Theme Park. This apartment is within close proximity of Capellans Beach and Ponent Beach.Rooms Make yourself at home in of the guestrooms, featuring kitchens with refrigerators and microwaves. Rooms have private balconies or patios. Plasma televisions are provided for your entertainment. Conveniences include sofa beds, housekeeping is provided once per stay, and cribs/infant beds (surcharge) can be requested.Rec, Spa, Premium Amenities Take advantage of recreation opportunities such as an outdoor pool or take in the view from a terrace and a garden.Business, Other Amenities Featured amenities include luggage storage and a safe deposit box at the front desk. 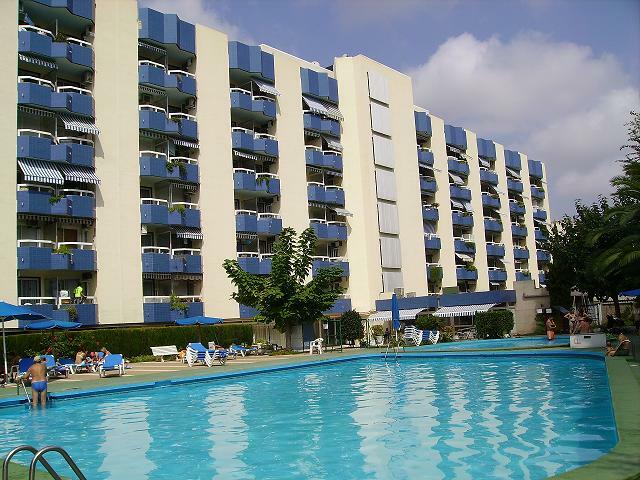 Property Location With a stay at Apartamentos Decathlon Maraton Penthalon, you'll be centrally located in Salou, walking distance from Capellans Beach and close to Levante Beach. This apartment is within close proximity of Port Aventura Theme Park and Cala Font Beach.Rooms Make yourself at home in of the guestrooms, featuring kitchens with full-sized refrigerators/freezers and microwaves. Rooms have private furnished balconies. Private bathrooms have deep soaking bathtubs. Conveniences include desks and separate sitting areas, and housekeeping is provided weekly.Rec, Spa, Premium Amenities Take advantage of recreation opportunities such as an outdoor pool or take in the view from a terrace and a garden. 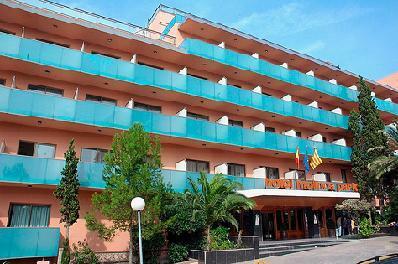 Property Location With a stay at Hotel TOP Molinos Park in Salou, you'll be minutes from Cala Font Beach and close to Levante Beach. This family-friendly hotel is within close proximity of Capellans Beach and Aquopolis Costa Dorada.Rooms Make yourself at home in one of the 246 air-conditioned guestrooms. Private bathrooms with bathtubs feature bidets and hair dryers. Conveniences include phones, as well as safes and desks.Rec, Spa, Premium Amenities Enjoy recreation amenities such as an outdoor pool or take in the view from a rooftop terrace. Additional amenities include complimentary wireless Internet access, supervised childcare/activities, and an arcade/game room.Dining All-inclusive rates are available at this hotel. Meals and beverages at onsite dining establishments are included in all-inclusive rates. Charges may be applied for dining at some restaurants, special dinners and dishes, some beverages, and other amenities. Enjoy a satisfying meal at a restaurant serving guests of Hotel TOP Molinos Park. Relax with your favorite drink at a bar/lounge or a poolside bar. Business, Other Amenities Featured amenities include high-speed (wired) Internet access (surcharge), a 24-hour front desk, and multilingual staff. Property Location With a stay at Zahara Apartments Rentalmar in Salou, you'll be near the beach and convenient to Levante Beach and Port Aventura Theme Park. 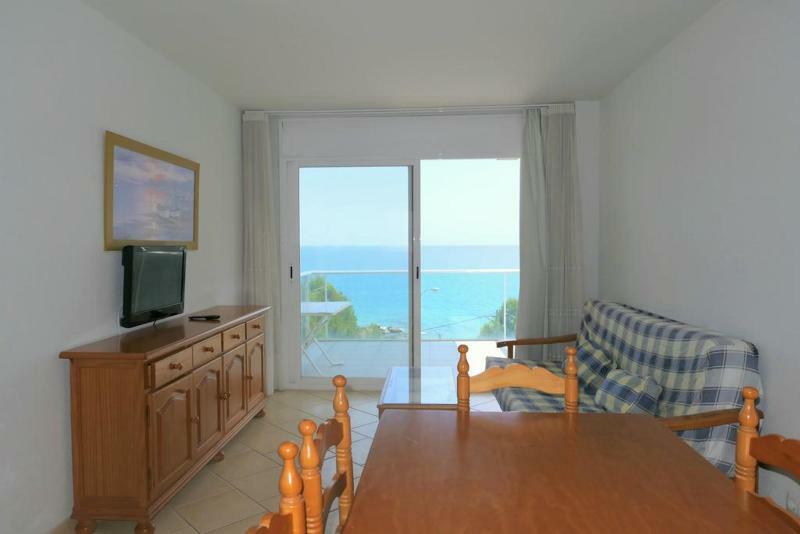 This apartment is within close proximity of Capellans Beach and Ponent Beach.Rooms Make yourself at home in one of the 100 air-conditioned rooms featuring kitchenettes. LED televisions are provided for your entertainment.Rec, Spa, Premium Amenities Enjoy recreation amenities such as an outdoor pool or take in the view from a terrace.Business, Other Amenities Featured amenities include luggage storage and a safe deposit box at the front desk. Self parking (subject to charges) is available onsite. Property Location With a stay at Royal Apartamentos Rentalmar in Salou, you'll be convenient to Levante Beach and Port Aventura Theme Park. This apartment is within close proximity of Capellans Beach and Ponent Beach.Rooms Make yourself at home in one of the 110 guestrooms, featuring kitchens with refrigerators and microwaves. Rooms have private balconies or patios. LED televisions are provided for your entertainment.Rec, Spa, Premium Amenities Enjoy recreation amenities such as an outdoor pool or take in the view from a terrace.Business, Other Amenities Featured amenities include multilingual staff, a safe deposit box at the front desk, and an elevator (lift).